As I write, the super-storm Hurricane Sandy, also nicknamed ‘Frankenstorm’, is in the early stages of launching itself at the US East Coast. This is predicted to be the worst hurricane ever to hit the USA and nine states have so far declared a State of Emergency; New York City in particular has been declared ‘closed for business’ and evacuation orders have been given to 400,000 people. 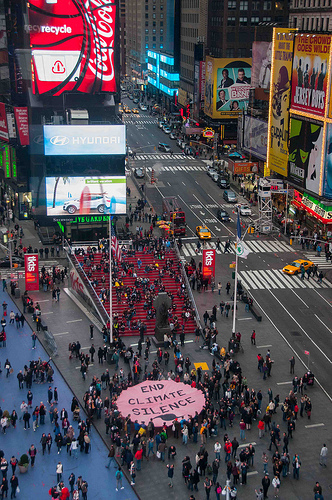 Yesterday evening, the campaign organisation 350.org organised a ‘climate silence’ demo in New York’s Times Square, spearheaded by a banner saying ‘end climate silence’. Founder Bill Mckibben has tweeted ‘A lot of folks knows what Sandy means’ , Phil Aroneanu, 350’s co-founder, has made the point that even though there is a difficulty in linking every storm to climate change, there is no doubt that warmer oceans create more water vapor for storms to pick up, increasing the risk for powerful extreme weather events. For President Obama, the most important thing is ensuring people are safe and he has urged people to respect and listen to orders issued by their State authorities. Vermont Senator, Bernie Sanders, said on his website that Vermont Governor Peter Shumlin had declared a state of emergency in the state which Sandy is expected to reach sometime on Monday. So why is this storm so bad? Hurricane Sandy began in the Caribbean and is picking up strength as it’s approaching the US East Coast, whilst also colliding with a winter storm coming from the Arctic. Flooding and some snow is predicted in some states and the latest figures suggest that up to 60 million Americans could be affected by this event, an unprecedented figure by any standards. On his Dot Earth blog, New York Times Journalist Andy Revkin has been discussing the link between extreme weather events and climate change, raising the recent issue of the Arctic ice melt as well as the fact that the Atlantic ocean are currently approximately 5 degrees (F) warmer than average. 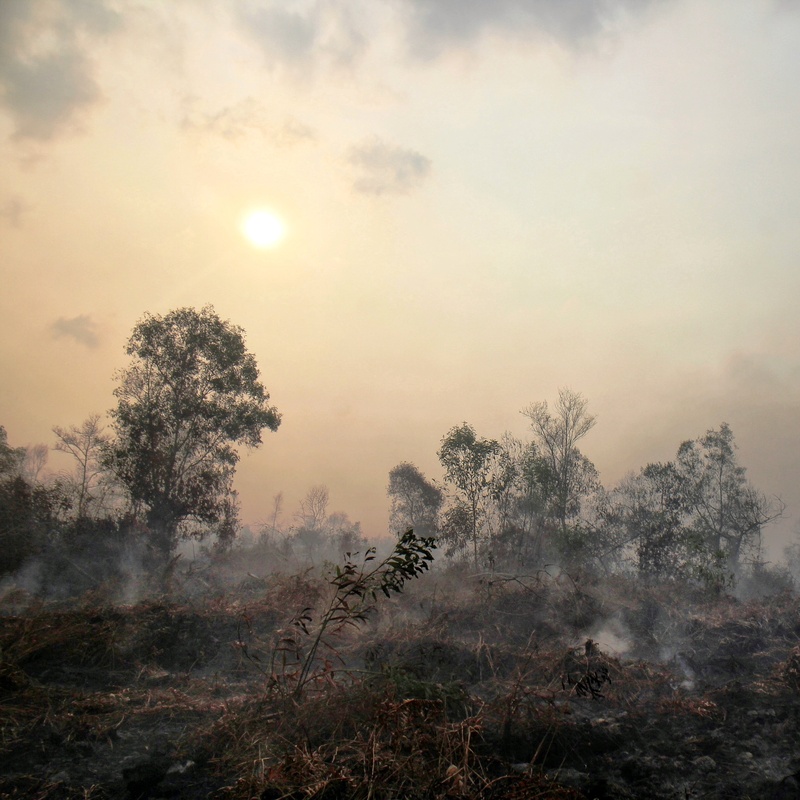 NPR Science Blogger Adam Frank has also shared his thoughts on the issue, and questioned whether this epic storm is evidence of climate change caused extreme weather events. This event will incur huge costs to an already flailing US economy; with the ‘city that never sleeps’ New York closed for business, including the New York Stock Exchange, the cost of lost business will be immense, as will the cost of the clean up. The single point environmentalists would want to make to all Americans and politicians is: ‘’Look what the lack of action on climate change is doing to us – get off fossil fuels and make this an election priority’’. ← Editorial: The UK government must stand up to the powerful farming lobby.